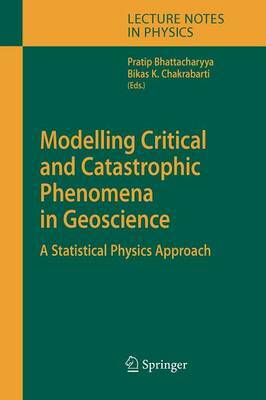 This book presents a broad survey of models for critical and catastrophic phenomena in the geosciences, with strong emphasis on earthquakes. It assumes the perspective of statistical physics, which provides the theoretical frame for dealing with complex systems in general. This volume addresses graduate students wishing to specialize in the field and researchers working or interested in the field having a background in the physics, geosciences or applied mathematics.